Need a simple program to quickly see data / contents of a database file? myOleDbExpress is a simple and quick program to view mdb and udl database files. It is a portable program and does not require install. Just goto to open menu, select open database file and see its contents. To view, you can also connect to SQL server database. It allows you to create datalink file, compact MS Access database and manage SQL server database. 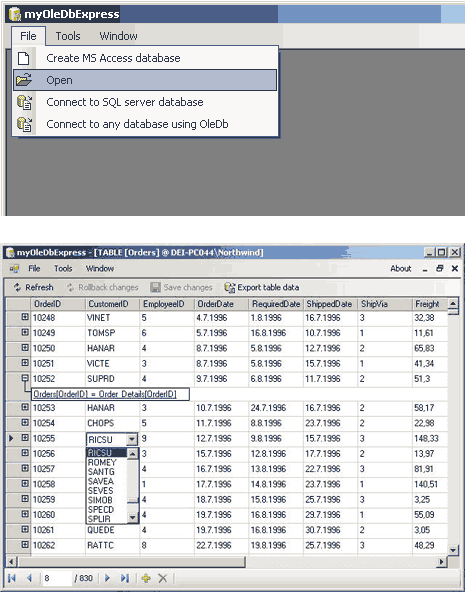 Grab myOleDbExpress program, its free, light and portable database viewer.